Everyone's favorite North Norfolk radio show presenter is back. 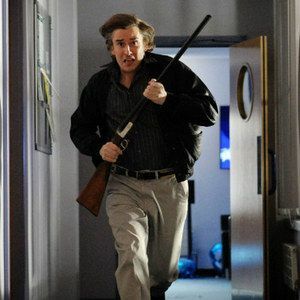 Steve Coogan reprises one of his most iconic roles of all time in Alan Partridge: Alpha Papa. The full length trailer finds Partridge the only one who can negotiate his radio station out of a hostage situation. Watch as Steve Coogan gets his 'siege face' on after Colm Meaney storms his offices demanding a helicopter in what is sure to be the international comedy hit of the summer (no U.S. release date has been announced yet).